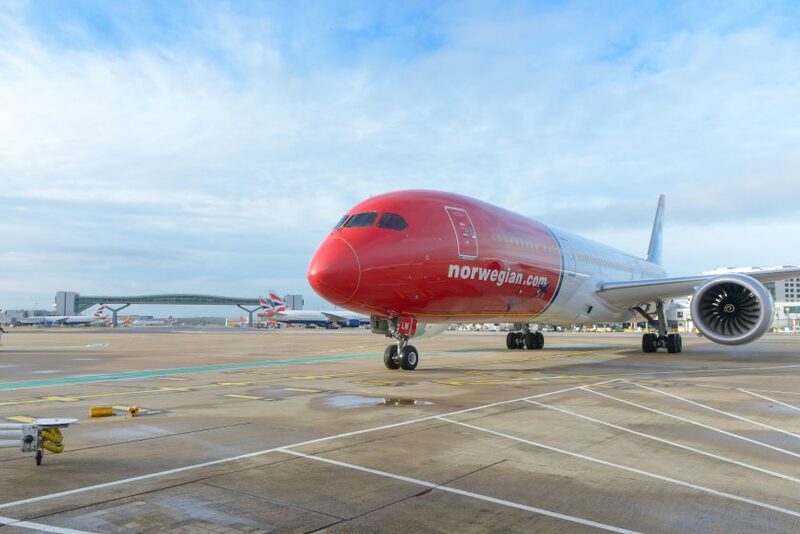 Major Norwegian Long-haul Expansion from Gatwick. After a lot of coverage of British Airways in the past few days, I thought it was time to provide some news on their low-cost competitors. Norwegian have recently announced a major expansion of their long-haul network from London Gatwick. This is unquestionably good news even if you’re not planning to fly them, as it means on the routes which they fly, their competitors will undoubtedly start price matching to a certain extent. Norwegian have an extensive short-haul network now, flying exclusively 737-800 aircraft, although they are one of the launch customers for the new 737-MAX aircraft with the rather cool split-scimitar style winglets. These will start to join the fleet from the end of this year. They have also set-up a base in the US, at the Newburgh-Stewart (SWF) airport, near New York. Although it’s about as far away from New York as BWI is from Washington D.C.! Long-haul, they will now fly non-stop to thirteen destinations from Gatwick, including the newly announced Austin, TX and Chicago, IL. That’s a pretty broad spread of routes now and means they are certainly well on the way to becoming a proper network carrier, especially if you mainly fly transatlantic. Their long-haul aircraft are all new 787-8 Dreamliners in a two class, Premium Economy and Economy set-up. The lack of fully flat beds in a business class type product may dissuade some readers from trying them out. However they are one of the few carriers that do one-way pricing even on long-haul, so it could be nice to try one way in their premium cabin on a day-flight to the US. That could combine nicely with a frequent flier redemption on the way back when a proper flat bed is required on a night-flight. Full information and details on how to book are available on their website, Norwegian.com. Previous Post: British Airways Fortnum & Mason Summer Event. Next Post: Double-bad news for Virgin Trains customers. Great airline, great service and wonderful personnel!! !